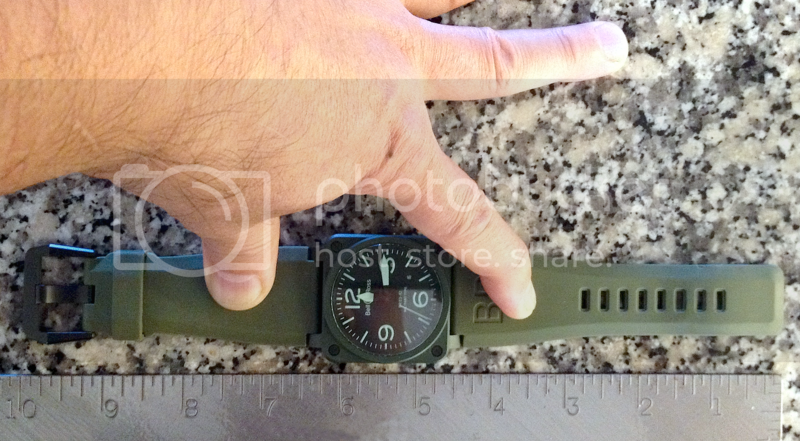 TimeZone : Bell & Ross » Size Of Replacement Rubber Strap For BR-03? I'd like to order a replacement rubber strap for my BR-03 Military Ceramic watch from the Bell & Ross E-Boutique. I'd like to order the same length as the strap that came with the watch. Can anyone confirm that the standard strap that comes with the watch is their "regular" length. Does anyone know how much longer the "large" length rubber strap is? Previous Topic: Official release on the B-Rocket...with some hints for Basel!